For centuries this area was dotted with wooden tuna lookouts reached by ladders, while fishing nets were left to dry along the shore like giant spiders' webs. The deserted quarry here once supplied material for the construction of Rijeka's Korzo promenade. 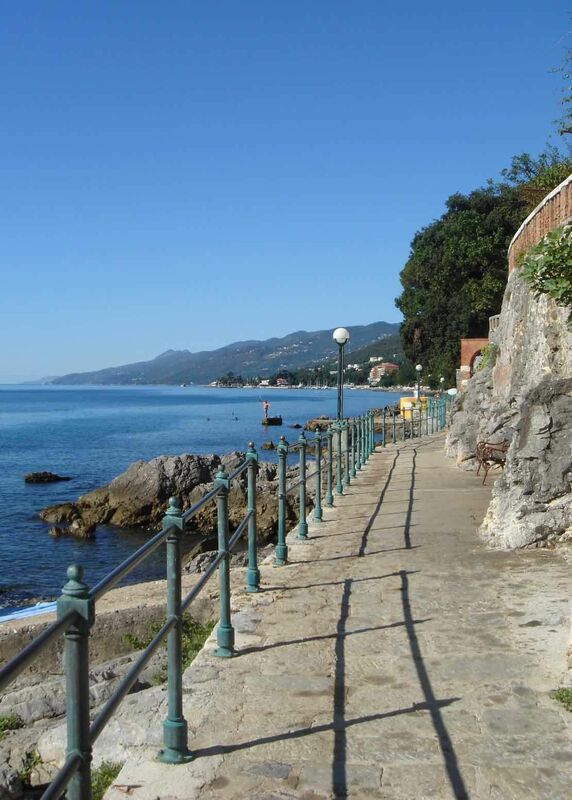 Today this bay is a particular favorite among sailors and windsurfers who make full use of the ideal winds that blow here, especially the nightly tramontana in the autumn. 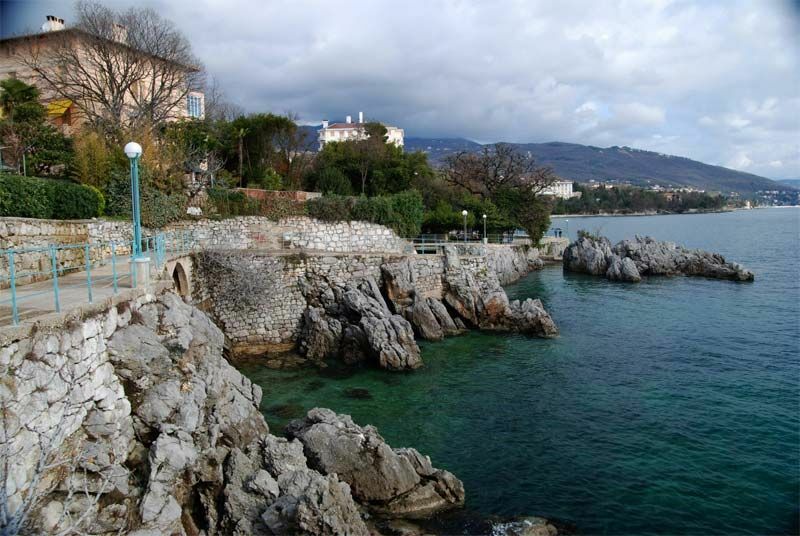 In the 18th century this tranquil fishing village used to be an important center of shipping (1884 Rijeka-Volosko-Opatija steamship line), shipbuilding and trade, but later it lost out to Rijeka and Opatija. The bust of Friedrich Schiller was put up to the memory of this Austrian railway expert, pioneer of tourism and general director of the Austrian Southern Railway who played a decisive role in promoting, financing and creating the Austrian Riviera from 1882. 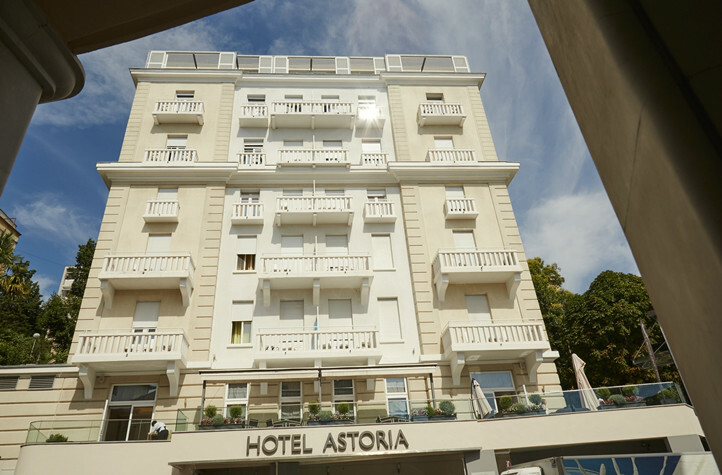 Without him, a lot of things in Opatija would be completely different today. This Jugendstil villa, one of the most attractive on the Liburnian coast, was built by the Austrian Architect Ludwig Münz in 1903. (Münz introduced the tram in Opatija). 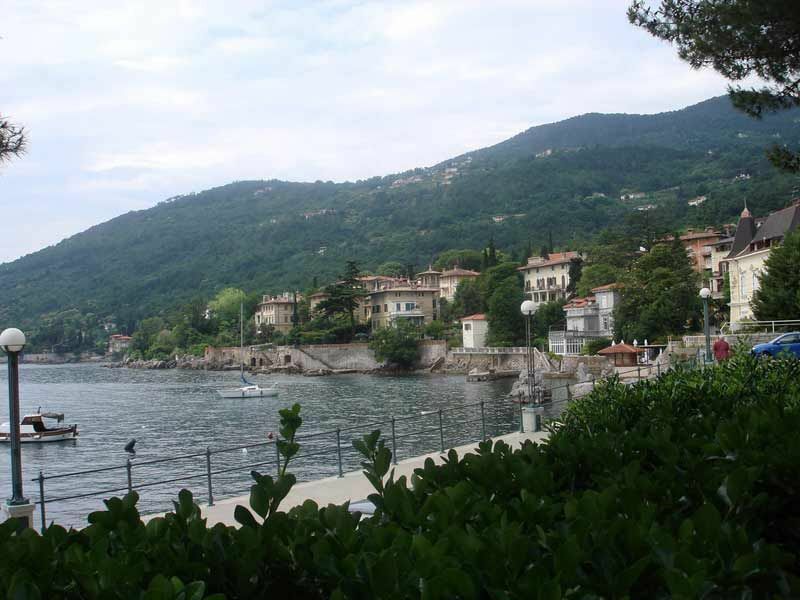 As tiny as this holiday resort may appear today, it was an important harbor for loading wood for the village of Veprinac during the middle Ages. Later on the large Jesuit estate and a baroque monastery were built here. Nicolo Guerra ordered this villa in Venetian Flower Gothic style at a time when hardly one Italian lived on the Austro-Hungarian Riviera, but his wife Camilla was a dancer at the Vienna Opera. Today this villa is an exquisite mini-hotel and a restaurant. 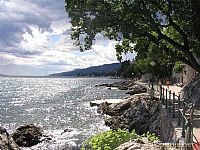 The port town of Lovran (lauriana = laurel) is one of the oldest settlements on the Opatija Riviera. 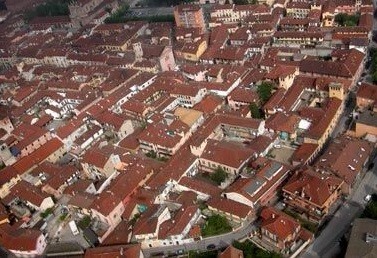 It dates back to the 7th century and boasts numerous historic villas, parks and an interesting old town. 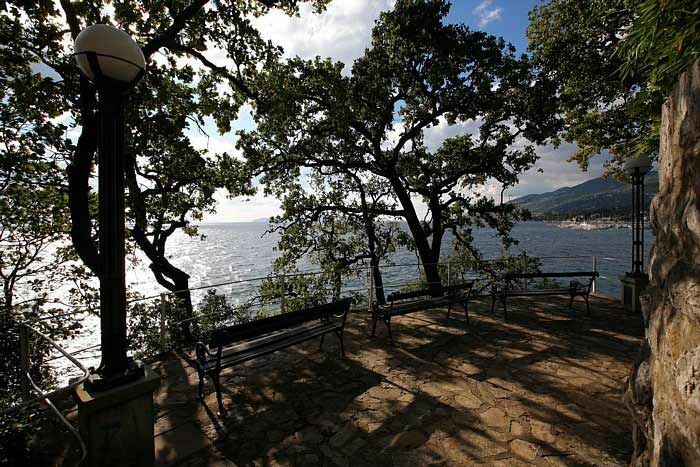 Lovran and hinterland are the venue for great gastronomic events: “Days of cherries” in June, “Marunada”- festival of local sweet chestnuts in the autumn.